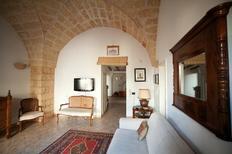 Trullo for 6 people in the heart of Apulia. ​Apulia | If you want to experience Italy’s "boot heel" in an authentic manner then the best choice is a Trullo. These houses were built with stones and no cement was used. 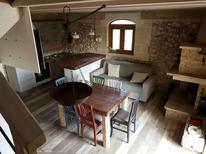 Modern holiday villa for nine people in rural surroundings. 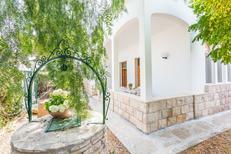 Apulia | Enjoy the privacy in a holiday home with its own pool and splash about in the cool water whenever you want. 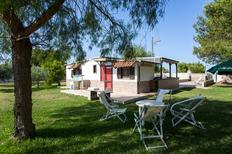 Apulia | A vacation in a holiday park is particularly ideal for families. As parents you can lean back and relax whilst your kids are taken care of your hands and are fully entertained. 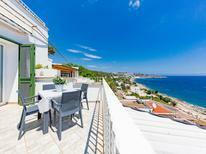 A holiday house in Apulia costs on average USD 938 in the cheap travel period and USD 1,834 in the peak season per week. These details are of course in relation to the house and not per person as well as includes the obligatory additional charges. Located in the heel of Italy, the region of Apulia is populated with vineyards, quaint towns and baroque architecture, all waiting to be explored. 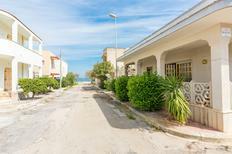 Choosing a holiday home in Apulia will give you the right start to your stay in this beautiful part of Italy. You can book a comfortable holiday rental quite easily, to experience the beauty of the olive tree orchards, rolling hills, beaches and everything else that Apulia offers. The town of Lecce, with its quintessential Baroque character makes for a good start in Apulia. The area is a treasure trove of historical buildings and points of interests like the Palazzo Vescovir, the cathedral and the Piazza del Duomo. The 16th century Santa Croce Church makes for an impressive sight with its baroque façade. The roman amphitheatre in the town is a great place to visit. The towns of Ruvo di Puglia, Trani and Bari are the other places you could visit if you like exploring cathedrals and churches. 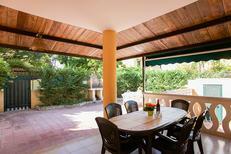 TUIvillas.com offers a genuine and reasonable option for renting a holiday home in Apulia. You can choose from a wide range of holiday apartments including holiday houses by the beach or cosy holiday rental chalets amidst the vineyards. Booking a trullo in Apulia is a great option if you want to experience the true essence of the region, yet want the comfort of a holiday house. 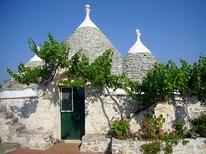 A trullo is a cone shaped building which is unique to Apulia, they were once used as resting places by farmers. Today these iconic structures have found a place in the UNESCO World Heritage List and you can rent one with TUIvillas.com.